Everyone has a special place in his heart to which he is attached. Maybe it is so because of the memories that this place causes or for the feelings that recalls or for the joy that you feel when you come back again. For me this special place is Sila. Ever since I was a child I admired it so dominant over the landscape of my village giving me some sense of reassurance. Its forests were the place where to find freshness in the hot summer days and its snowy hills were the guarantee for the cold winter. 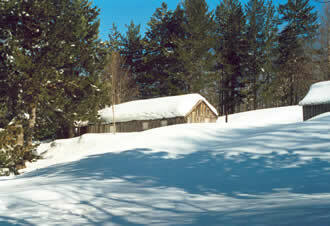 Sila was the place where my passion for the mountain was born.It was like a call to which I answered. I started to discover Sila going by bicycle and then I scoured its woods by foot finding out remote places full of authentic charm of the nature. “Surprise” is the sensation that will come in the mind of those who will visit Sila for the first time. It is hard to imagine that in the heart of Mediterranean you can find a mountain massif with such characteristics. 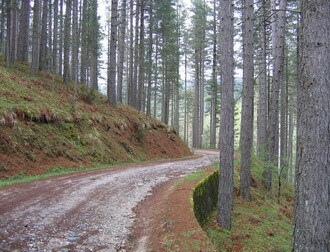 Still nowadays, after centuries of exploitation of its vast woodland resources, Sila maintains unspoilt charm and austere beauty. The ancient Greeks and Romans were the first who opened the way to the penetration of the forests in Sila getting out wood for the ship building. In fact, Sila comes from the latin word “silva” which means forest. The master of these forests is “pino laricio” tree (pinus laricio), high and elegant conifer with completely straight trunk which can reach 45 mt of height. The forests that can be admired with their surrealistic atmosphere seem to bring back to the time when nature dominated supreme over men. At the same time those forests induce visitors to think that Sila is really one of few places where you can still hear the silence. Those places wouldn’t have the same charm or wouldn’t stimulate the same interests in the visitors if they didn’t know that it is possible to find animals involved in their everyday battle to survive. The animal which, more than others, is the symbol of Sila is wolf.It also appears on the coat of arms of the National Park which nowadays protects the territory. Wolves found in these remote forests a safe shelter and made of it one of their historical forts recording their presence also when elsewhere wolf has already disappeared before law decreed its protection. In winter, when snow covers everything, it is easy to notice among many traces those of wolf, the real master of these places. Nowadays Sila is not that “magna silva” (great forest) any more which was respected by the Romans who were frightened of its impenetrable vastness. In spite of this, who loves the mountain knows that the sensations felt engrossed in the silence of the forests gently interrupted by the rustle of the trees kissed by the wind, fill the spirit with particular suggestions. These emotions will be the most precious gift that Sila will be able to give you.